Most people have little experience dealing with what happens after their loved one dies and they get appointed as Personal Representative/Executor to settle the estate. The purpose of this guide is to provide a general overview of the six steps required to probate an estate. 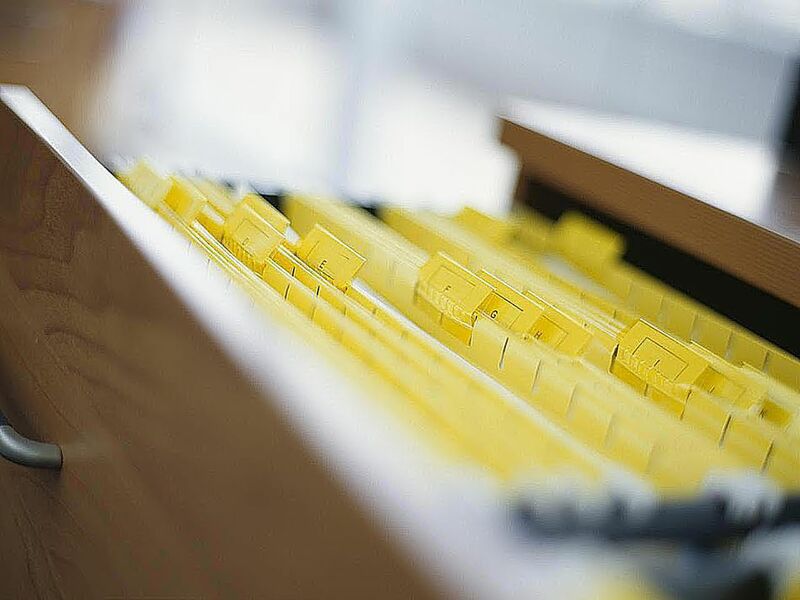 Before being appointed to serve as Personal Representative/Executor, the first step in probating an estate is to locate all of the decedent's estate planning documents and other important papers. The decedent's estate planning documents may include a Last Will and Testament, funeral, cremation, burial or memorial instructions, and/or a Revocable Living Trust. The original documents should be stored in a safe place until they can be given to the estate attorney. The decedent's important papers will include information about the decedent's assets, including bank and brokerage statements, stock and bond certificates, life insurance policies, corporate records, car and boat titles, and deeds; and information about the decedent's debts, including utility bills, credit card bills, mortgages, personal loans, medical bills and the funeral bill. Refer to What Documents Are Needed After Someone Dies? for a detailed list of the specific documents that will need to be located. From these documents a list should be made of what the decedent owned and owed, how each asset is titled (in the decedent's individual name, as a tenant in common, in joint names, or in a trust), and, for assets and debts that have a statement, the value of the asset or debt as listed on the statement and the date of the statement. In addition, the decedent's prior three years of income tax returns should be set aside. Once the decedent's important documents have been sorted through, the next is to meet with an estate lawyer to open the estate with the probate court. Once the decedent's legal documents and other important papers have been sorted through, the next step in probating the estate is to meet with an estate attorney to officially open the probate estate with the probate court. Refer to the Step by Step Guide to Opening a Probate Estate for a detailed guide on how to open a probate estate. Once the probate estate has been opened with the probate court, the next step is to establish date of death values for all of the decedent's assets. Once the probate estate has been opened with the probate court, the next step in probating the estate is to establish date of death values for all of the decedent's assets. This step is important because most states require that an inventory of the decedent's probate assets along with their date of death values be filed with the probate court within 30-90 days of the date when the probate estate was opened with the court. All financial institutions where the decedent's assets are located must be contacted to obtain the date of death values. For assets including real estate, personal effects including jewelry, artwork, and collectibles, and closely held businesses, they'll need to be appraised by a professional appraiser. While the probate court will only require date of death values for the decedent's probate assets to be listed on the estate inventory, if the decedent's estate is taxable for federal and/or state death tax purposes, then date of death values will also need to be established for the decedent's non probate assets including those owned as tenants by the entirety or joint tenants with right of survivorship, payable on death and transfer on death accounts, life insurance, retirement accounts including IRAs and 401(k)s, and annuities. Refer to What Are Non Probate Assets and Are They Included in Your Estate? to determine what, if any, non probate assets the decedent owned. Once the date of death values have been determined for the decedent's assets, the next step is to pay the decedent's final bills and ongoing expenses of administering the estate. Once the date of death values have been determined for the decedent's assets, the next step in probating the estate is to pay the decedent's final bills and ongoing expenses of administering the estate. This is also the time when the Personal Representative will need to evaluate whether any of the decedent's assets, such as real estate or a business, should be sold in order to raise cash to pay expenses and taxes. It is the Personal Representative's job to figure out what bills the decedent owed at the time of death, determine if the bills are legitimate, and then pay the bills. The Personal Representative will also be responsible for paying the ongoing expenses of administering the estate, including legal fees, accounting fees, utilities, insurance premiums, and mortgage payments. Once the Personal Representative/Executor has paid the decedent's final bills and has the estate expenses under control, the next step is to pay any income taxes and death taxes that may be due. Once the Personal Representative/Executor has paid the final bills and has the estate expenses under control, the next step in probating the estate is to pay any income taxes and death taxes that may be due. The Personal Representative/Executor will need to prepare and file the decedent's final federal and/or state income tax returns and pay any taxes that may be due in a timely manner. The final federal income tax return (IRS Form 1040) will be due on April 15 of the year after the decedent's year of death. Aside from filing the decedent's final income tax return, if the estate earns income during the course of administration, then the Personal Representative/Executor will need to prepare and file all required federal estate income tax returns (IRS Form 1041) as well as any required state estate income tax returns. If the decedent's estate is taxable for federal and/or state estate tax purposes, then the Personal Representative/Executor will be responsible for preparing and filing the federal estate tax return (IRS Form 706) and/or a state estate tax and/or inheritance return, and paying the tax bills. Note that some estates may be required to file a federal estate tax return even though no estate tax will be due. Refer to When is a Federal Estate Tax Return Required to Be Filed? to determine if Form 706 will be required to be filed for the decedent's estate. Refer to What Types of Taxes Are Due After Someone Dies? for a guide to the different kinds of taxes that may be due and the tax returns that will need to be filed. Once all of the income tax and estate tax issues have been resolved, the final step to settling the estate is to make distributions of what's left to the estate beneficiaries. Usually the first question that the estate beneficiaries will ask the Personal Representative/Executor is "When will I get my inheritance check?" But unfortunately for the beneficiaries, making distributions of the estate assets to the estate beneficiaries is the very last step in settling the estate. Prior to making any distributions to the estate beneficiaries, the Personal Representative/Executor must be certain that every single expense of administering the estate and all taxes have been paid, or that enough assets have been set aside to pay the final bills and taxes. Otherwise, if the Personal Representative/Executor chooses to make distributions to the estate beneficiaries but expenses come up later, then the Personal Representative/Executor will have to pay these expenses out of his or her own pocket. If administration of the estate is expected to take more than a year, then the Personal Representative/Executor should work closely with the estate lawyer and accountant to plan for setting aside enough assets to pay the ongoing estate expenses and making distributions to the estate beneficiaries in multiple stages.